Just in time for the holidays, I thought I’d round up this year’s crop of custom fauxdori and traveller’s notebook makers and sources. We’ve lost some from last year and gained some this year. I haven’t bought as many recently (I’ve been making my own- more on that later)- so I have less personal experience. However, I still have a list of currently active makers. 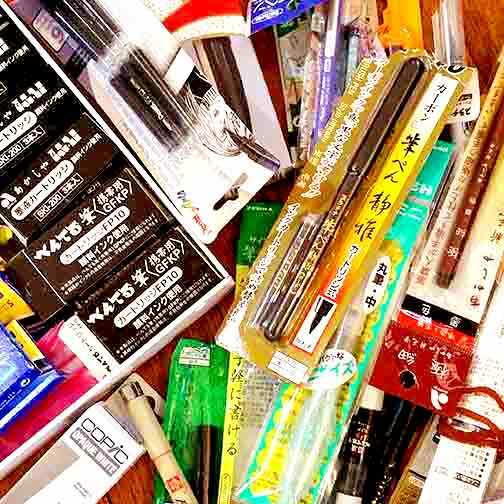 pens, papers, and all sorts of writing implements can be found here, including the original Traveler’s Notebook (ie., Midori) brand, as well as Color Crush planners, which also have a line of fauxdori. Scribe is a a physical store with branches in SM Megamall, Shangri-La Mall, Eastwood Mall, SM Aura, Glorietta 5, and SM Cebu. They’ve recently started accepting online orders though . They carry Midori and Color Crush inserts, though availability can vary. a great source for Midori inserts, accessories, and covers. They tend to be a catch-all for Japanese stationery. 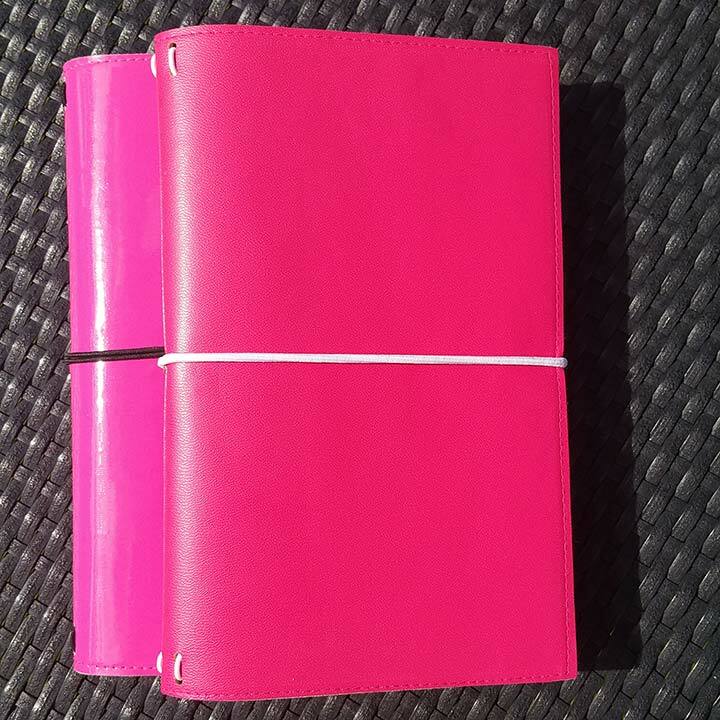 mass-market pleather travelers notebooks that come in Standard size. They also sell refills. You can find them at National Book Store and Fully Booked branches. They’re quite affordable and great as beginner journals. specializes in simple, elegant full-grain leather fauxdori in various sizes, though she can also customize with pockets, pen loops, and other simple configurations. specializes in custom leather materials that include fauxdori in various sizes. They’re fantastic craftsmen, but good luck contacting them these days: they’re so much in demand right now that communication can be a little….iffy. Still, they make great notebooks, journal covers, and bags. They don’t sell inserts. premium leather artisans who work with beautiful imported Argentine full grain leather. They’re known for the quality of both work and materials. they can do custom sizes and designs, but also have the default Standard and A5. They’re a bit on the more expensive side of TN’s. a relatively new TN maker who specializes in dyed leather products, including fauxdori. I haven’t seen her work in person, but she seems to do great custom designs, such as incorporating purses and pockets into your standard notebook covers. more of a craft shop, but they also seem to do simple leather TN’s and Hobonichi covers. the famous makers of the Kislap, which comes in Cahier ( something slightly smaller than A5) and Passport size. The Kislap is extremely simple and the leather is thin, but their designs are attractive. They also make very nice fountain-pen-friendly inserts, though these have to be specially ordered and are rarely available at their pop-up stores or their physical shop in Common Room at Rockwell and Katipunan. Airees makes interesting traveler’s notebooks out of abaca fibers. They’re lightweight, tough, sustainable, and vegan. 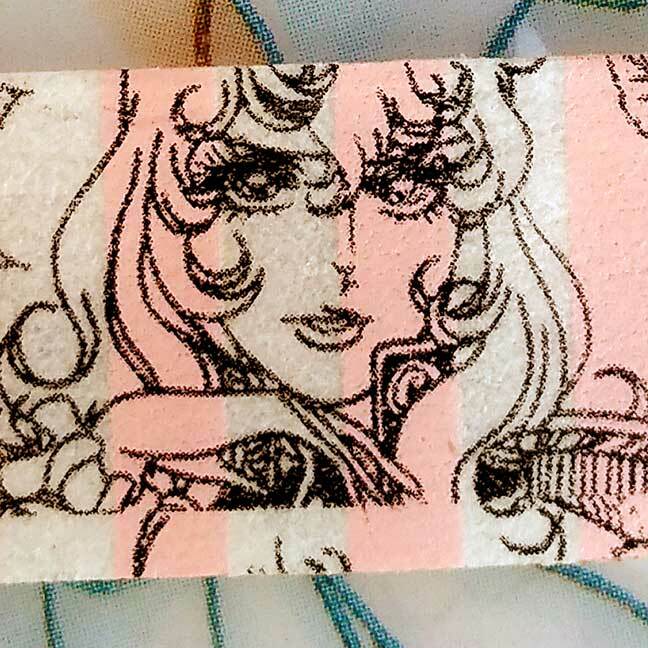 She imprints them with her artwork, but has plain color editions as well. She also sells refills in various sizes, and they’re just as lovely as her notebooks covers are elegant and the paper is thick and smooth, appropriate for washes and ink. though known more as leather tool dealers, they also make travelers notebooks. creators of local ring binder type planners, Hobonichi planner covers, and leather traveler’s notebooks in bright prints and designs. They carry refills as well. 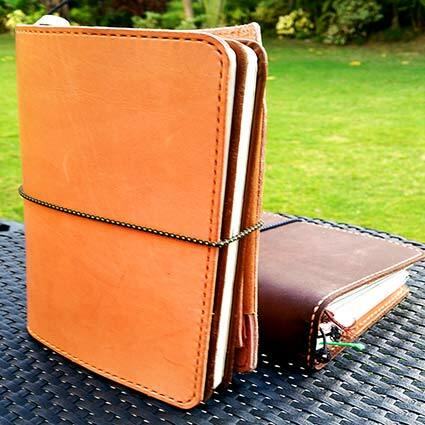 creators of the Macata, a PVC traveler’s notebook. It’s very simple- no pockets or pen loops. However, they’re one of your more affordable and durable options. Their covers come with refills. makes clothbound trabeler’s notebooks (“Adoribles”) in colorful prints, mostly Standard sized. another creator of imitation leather traveler’s notebooks in two sizes- Standard and Passport. they also have a large selection of refills designs. They claim their paper is fountain-pen friendly, which I’ll have to test sometime! currently fulfilling back orders, they specialize in interesting leather fauxdori using materials such as carabao leather. Keep an eye out for them when they re-open (hopefully) in 2017.
like their name implies, they carry all sorts of calligraphy materials, as well as refills made from the famous Tomoe River journals and their own Elias-branded paper. -Sells Curnow journals, which are fountain-pen-friendly refills (either their own paper or Tomoe River) that come in Standard, Passport, or A5 size. Sells refills in a variety of sizes that are supposed to be fountain-pen friendly. They also sell dated refills, for those who want to plan for 2017! Oh, and they carry stickers, postcards, and other small stationery items. sells the occasiaonl Midori as well as Standard-size Yumi refills, which have fountain-pen-friendly paper. they also carry c”curated” items, mostly Kaweco accessories at this time. hand-stitched notebooks in a variety of sizes, from Standard to Pocket and Cahier. They use thick paper, around 90 gsm or so, and it’s quite smooth. Some of their covers are handpainted and very attractive. A5 and A6 refills in lined, blank, and dotted pads. Also undated weekly planners. Fountain pen friendly. I received two “Shutterdoris” from @Shuttercreations.ph last week: One A5 (Which I’d ordered and customized) and one Standard Wide for review purposes (thanks, guys!). I had the A5 one almost immediately up and running. Ir’s pink. PIIIIIIIIINK. Shiny pink! Perfect for one of the projects I’m currently working on. Yeah, despite my fixation on leather and earth tones, I am actually helpless when it comes to a) pink shades, or b) shiny things. With these two combined in a notebook cover… ugh, yes, I had to buy it. They’ve got other colors on their account, but you’ll have to check their availability. I really like the Turquoise and brown and am hoping for a purple or black patent with pink elastics. Despite their flaws ( and it has a few of them) I love my Shutterdoris. They’re very similar, with slight differences. A5 Patent Wide for 6 inserts. The A5 has rounded corners ( which I’d asked for), while the Standard has straight corners. It’s a purely aesthetic choice for me. Three elastics per TN, but you can fit two inserts per elastic. The vinyl (?) (pvc?) material of the A5 patent has a slick feel while the matte Standard is slightly grainy. Both are medium stiff firm enough to hold their shapes when empty. I’d say they’re around 1 or 1.5 mm thick. The cover seems to be two sheets of material stitched together. The stitching and trimming of the materials is not exactly straight, but it’s a tolerable variation for me. For others, perhaps a little too “off the mark.” This could be improved upon in later models. stitching is slightly off, as is the trim.. Inside is a vibrant turquoise in matte. The A5 is what I’d call bubble-gum colored. I want to call it my ‘Gum’dori in fact. It tends to mark with scratches and gouges because it’s so smooth. It’s also a bit of a fingerprint magnet, and it has a very subtly horizontal grain to the material. It’s probably not the best choice for someone who dumps their books around like me; it’s something you have to baby and polish and probably get a cover or bag for. Slight vertical grain and a few marks on the surface from light useage so far). The matte Standard has a slightly deeper, more magenta-ish, less bubblegum tint , which I prefer, actually. I also am growing into the matte texture and have come to prefer it over the Patent- maybe for my next purchase? It’s less prone to scratches and fingerprints, and I feel it’ll take folds a lot better. The Standard Matte: slightly grainy surface and a deeper magenta color. Both lack pockets and are extremely basic in nature, but I’m not hung up on that because they’re a) Lighter than leather, b) strong, and c) waterproof in a way that leather isn’t. They’re also just the right level of thickness/ floppiness for me. They’re also thinner, which is a nice change for someone who likes to carry a whole library in their bag. Elastic tends to “bite” into the cover materials. Since the cover materials doesn’t take bends or folds like leather, it might wear down more easily. There’s one possible area for improvement: the closure elastic tends to dig into the cover material, which is a but soft. I’m afraid that it might eventually cause permanent marks or dents. Perhaps a small notch could be cut into the side so that the elastic could settle there? I’d classify that more as a nitpick though. I’m pretty happy with my purchase and may consider more, since the price is reasonable (well under P1000 for the A5). The turnaround time from ordering to delivery was about one and a half weeks. Communication with Shuttercreations.ph was very easy and they answered within a day of my messages. Oh, note that custom orders (like the A5) do not come with inserts, but the standard sizes do come with one each, I believe. Pretty in pink. Damn, I should’ve reviewed this in February. So you see, the actual Kuwero notebook cover is only the size of a Standard refill. I think this is a serious oversight; the notebook cover ought to be slightly larger than the refills to accommodate several refills. I’ve reached out to Kuwero about this, but be aware that if you buy or make your own refills, they might not fit current Kuwero notebooks. 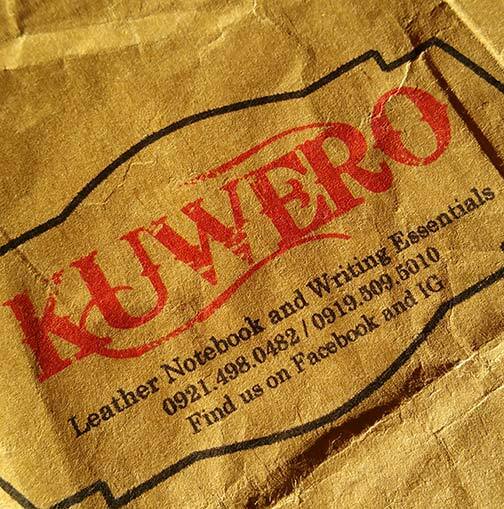 When I did my roundup of -then current Filipino fauxdori makers a couple of months ago, I mentioned that I wanted to get acquainted with Kuwero’s notebooks in the future. I guess they heard me, because they send over a review copy. Yay! They also apparently do custom orders for different sizes,although most common sizes are covered: Standard, Passport, A6, and Wide. They told me they welcome challenges too- big words! It holds four inserts easily. The leather is quite firm and holds its place well. Here it is without the inserts. You can see the rotating strap ( which is either a mistake or genius on their part) and eyelets. I believe the elastic is 1 mm. Stitching could be neater, but this roughness and uneven-ness gives it a rustic, very homespun, homemade feeling. Paired with this leather, it looks okay- if that’s your taste. If you like more refined craftsmanship, it’s probably not for you. Uneven trim and finish on the leather strap too; and with that “button” (what IS it). I’m worried about the strap eventually weakening and breaking apart, and it’ll be harder to repair than an elastic, but otherwise I like it because it’s firm and holds the four inserts just right. However, because it’s fitted exactly, you probably can’t stuff this particular TN. Note that the edges are rather rough and sharp, and cut slightly unevenly on the strap. Inserts: 2 fountain pen friendly cream inserts with colorful cardstock covers, and two kraft inserts. Aside from the Lakbay model, you can still order their ‘Orihinal” -no pockets-no stitching models. As mentioned earlier, the Lakbay is strictly made to order, while the Orihinal is readily available ( at least in those four sizes). My Tomoe River paper was just sitting in a corner so I decided to make some inserts for my two A5 Traveler’s Notebooks. In the Philippines, Tomoe River paper may be ordered from PenGrafik.com. First I had to visit a paper shop two hours away. It was worth it though, they have the prettiest papers! I purchased about a ream of metallic cardstock in different colors. I love metallics because the coating makes it semi-water resistant, and I just love them, period! After selecting my papers ( which came in huge sheets) I waited to have them cut into A4 pieces. i cut them in that size because I use A5 Travelers Notebooks, and A4 folded = A5. A4 sheets of Midnight Blue metallic paper against Tomoe River sheets, which are slightly larger than A4. My Tomoe River paper sheets are slightly larger than A4, so I have to trim a bit off the sides to make them fit. Trimmed sheets using a rotary cutter. I personally prefer rounded corners to my papers (so the edges don’t curl as easily), so I use a border trimmer (in this case the Kadumaru Pro). Folding into booklet form using a bone knife. Finally, they’re done! Not the neatest, but I hope to improve and speed up my process with practice. I’ve got lost of paper left to go! Five inserts, many more to go. This picture shows the metallic covers much better. I love them! Slightly more expensive than regular cardstock, but worth it! Metallic covers! I love them so much. Can’t wait to decorate them with stickers. The only problem is, so much waste is generated. Sigh, I hate that! It’s why I use A5 in the first place. Oh well. That’s my process. I hope to be making more sizes soon. 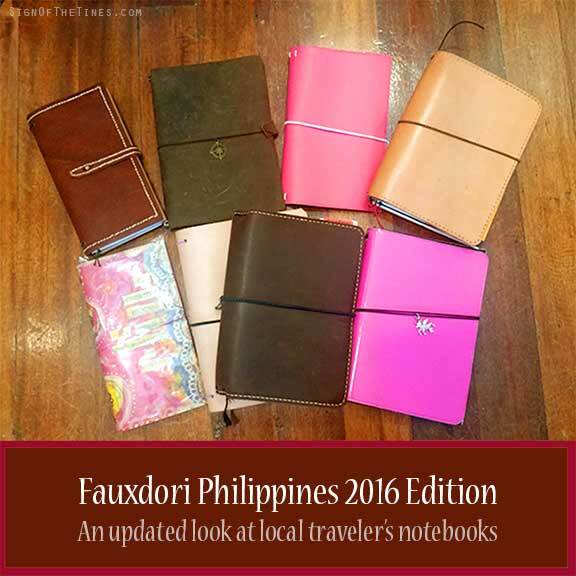 Last December, while still in the grips of fauxdori frenzy, I came across Kraft Korner PH’s Travelers Notebook offerings when they post it on the Fauxdori Philippines Facebook group. I was intrigued by the design of their Expedition model, which took liberties with the original TN prototype and added a few “steampunky” embellishments that looked like something out of Indiana Jones (I know Indy isn’t steampunk, but it’s got that rough ’40’s archaeology vibe going for it). Anyway, I promptly ordered one, but had to add my own modifications. KKPH was very accommodating and gave me a reasonable price, though they told me it was introductory and would change soon. Anyway, here’s a cursory review and some pics to go along with them. I hope you’ll excuse the video quality as it is my first. 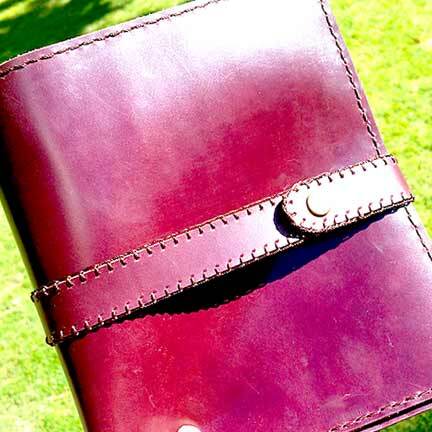 Here’s how it looks from the front: LEather is a waxy glossy maroonish-red. Reminds me of wallets and briefcases. They were offering a distressed brown leather in their earlier editions. i think i would’ve preferred that, although they DID tell me they were changing their leather. I told them to go ahead with my order. Now that it’s here, however, I’m afraid to take this leather around for fear it’ll scratch. I’m usually quite rough with my notebooks. 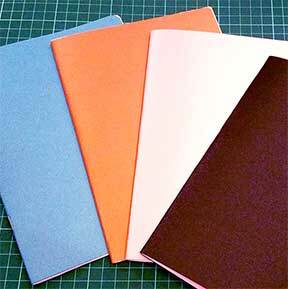 Also, the leather at 2mm is a bit thin- this isn’t a problem for smaller notebooks, but something this bulky and large would probably benefit from a thicker, sturdier leather. The modified expedition model which I ordered. I specifically asked them to size it for six inserts. They did a pretty good job, the measurement is more generous than I need. Stuffed six inserts, though the strings were initially too thin (my fault, I didn’t ask for larger strings). Eventually I restrung this with my own elastics. Here’s what it looked like before I added inserts, in its ‘pure’ form. I mention this in the video, and I just can’t get over it- this enclosure strap with the buttons is just too wobbly and loose. It’s a great concept ( I asked for buttons instead of buckles, because leather buckle straps tend to tear over time) but it just …doesn’t….quite work the way it’s executed here. I think some reinforcement stitches to the strap, plus more buttons, would’ve helped. Exterior folded out view. You’ll notice that the enclosure strap (with the buttons) is only held to the cover by a two tiny stitches. This makes the strap wobbly and unpleasantly loose. Loose Stitch nub! Inadequate for size of cover. stitching and eyelet details. Stitching could be neater, but otherwise is fine. I’m not sure I like this stitching on the edges of the strap itself. Maybe it’s a taste thing, but I also feel the stitches will eventually come loose. Would have preferred none at all. Maybe the stitches are reinforcing the strap? Either way, not my taste. Button enclosure. Points deducted for the way it was finished. That pasted thread looks like something I sneezed. Sorry to be so crude. Verdict: I paid about $US 30 for this, including all the modifications. At that price for a leather notebook it’s still way better value for some of the fauxdori I’ve bought. Plus, bonus points for an eye-catching design. I still like it, despite my misgivings. Time will tell how it holds up to my rough daily use. I’m going to keep an eye on Kraft Korner PH. If they fix some of these flaws, I’m sure their future TN’s and journals will be even more interesting. Overall, it’s a nice notebook that’s worth the price when they make some improvements to the design and execution. I have a Monster inside me. This Monster likes to hoard things- stationery, papers, notebooks, pens, even food. I was born with it- the Monster and I are one, but I fed it over the years and now it is a bloated, ugly thing. These took just a year or so to collect. Even as a kid, the Monster festered inside. As a kid, every Sunday my parents would take me to Gift Gate in Greenhills. At the time it was the only retailer of Sanrio goods like Hello Kitty pencil cases, pencils, and pads. I would buy one with my weekly allowance, where I would carefully store them. I never used them. The piles of pink pencils and plastic grew and accumulated dust in storage bins. Twenty years later they still lay in my cabinets until I gave them to my sister, who promptly sharpened them. That’s the difference between Bea and me- Bea’s not afraid to use her things, while I fear running out, so I use them as sparingly as possible. Can’t have enough brushpens! Right? I have an inkling of how the Monster started taking over my life. Growing up in Indonesia in the 1990’s, my family could only travel to the Philippines once a year. At that time, Indonesia had very little in terms of books or imported and Filipino foods. During our annual visits, I would stock up on as many books as possible, while my mother would fill her cupboard with cans of Filipino sausages, hams, and ingredients. That was the beginning of the hoarding habit. When I lived in the US, I would hoard art supplies and comics that I couldn’t find in the Philippines. When I came home, I carried about $300 worth of extra luggage in Bristol boards, brushes, and inks that I haven’t used yet- and this was ten years ago! These Bristol board pads have been with me ten years- barely touched. Even now the Monster demands to be fed. I continue to collect notebooks, papers, and pens- more than I can use. Like a dragon guarding its treasure, I sit atop a mound of baubles that, honestly, I’ve probably lost interest in. I am trying to rein the Monster in; I try limiting myself to a certain purchase a month, or occasionally destashing my hoard. It doesn’t always work. I keep obsessing over things I want to buy but can’t afford, or can’t justify. Even refills have to be stored by the bod. I have to change my priorities. I’d like to travel, for instance. I’d like to gain new experiences. I’d like to be able to draw and paint without worrying where the next sheet of watercolor paper is coming from, or where I can get a new bottle of ink when the old one runs out. I can’t do that if I continue to buy small, inconsequential things that just take up space in my cabinets, anchoring me to them, wasting money on small trickles that turn into rivers. Sure, I’ll still buy things I like, but in smaller quantities. I’ll think doubly hard about whether I can use something. I’ll spend on quality things. I refuse to buy something for the sake of buying it or satisfying the Monster’s urge. Most importantly, I’ll use everything I have at the moment. The hoarding must stop. The New Year is a fresh start, and the Monster inside needs to change along with me. How will I even write enough to fill these notebooks? 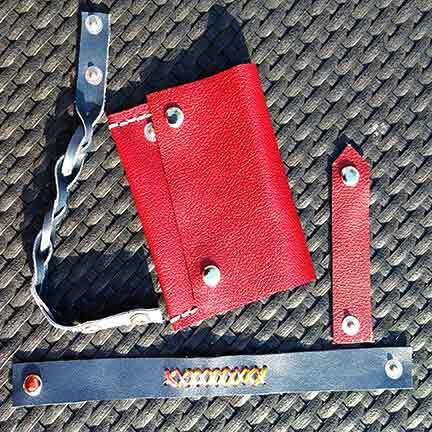 See my first Sunday Leather Craft TN here. Continuing from my previous post, I liked the Traveler’s Notebook that I’d commissioned from Sunday Leather Craft so much that I immediately ordered another one. The reasonable prices and great craftsmanship were just too good to pass up. This time I ordered my TN with a light tan or beige color. I’d seen how some leathers darkened over time due to exposure to UV rays, skin oils, and air, etc., and I thought it would be interesting to have a cover that would change color over time. Front view: I like that SLC uses a slightly thicker elastic for the enclosure. That puts it a step above a lot of TN makers out ere already. The leather is beige (or tan depending on the lighting), slightly glossy so it tends to show scratches and stains. I’m pretty rough on my stuff, so I’ll expect this to become scuffed pretty soon. Sunday Leather Craft Travaler’s Notebooks- front view. The notebook includes a pen case. A view of the inserts from above. I’ve set this up as an ‘art’ journal, so it’s got my Curnow Tomoe River journal from PenGrafik, a couple of handmade inserts using blank cardstock, and a blank journal from SketchnotesPH. White/ cream stitching is very neat! Overall I’m quite happy. There were a couple of glue stains on the leather when I first received it- deducting points for that- but I guess it’s something I can overlook since they weren’t major flaws. The leather itself is semi stiff but will probably soften over time, particularly the corners. They’re already kind of bendy since they take the most punishment, I think. Don’t let that dissuade you it’s a great leather (I wish SLC would name their leathers like other makers do!) and great notebook ; for under US$30, it’s a steal. Following up on last week’s post, here’s a quick look at the Hobonichi’s interiors and why I like it so much….and a few of the reasons that I don’t. If you’re on the fence about getting one, maybe this glimpse into the Hobo’s papery guts will help you decide one way or the other. So past the cover, you get a two-page calendar spread. Handy if you want to check up on dates/days quickly. Interior initial year calendar of the Hobonichi. This next bit is one of my favorites: a vertical chart of all the days in the year. I think you’re supposed to mark off special days , but I chose to use this page as a mood plotter. I struggle with some mood issues, and I figured that plotting my moods on this page, on a scale of one to ten, will allow me to see how my mood fluctuates over time. Hobonichi day marker- which I use as a mood plotter. Then we get to the two-page monthly spreads. As a visual person, I really prefer having my days laid out like this, so I can see how each day relates to a day in the week. The month on a two-page spread. This is followed by a couple of weeks’ (from Dec 16, 2015 to Dec. 31, 2015) worth of two-days-per page. I use these pages to note details and events of the day that may have affected my mood, including hours of sleep and possible triggers. 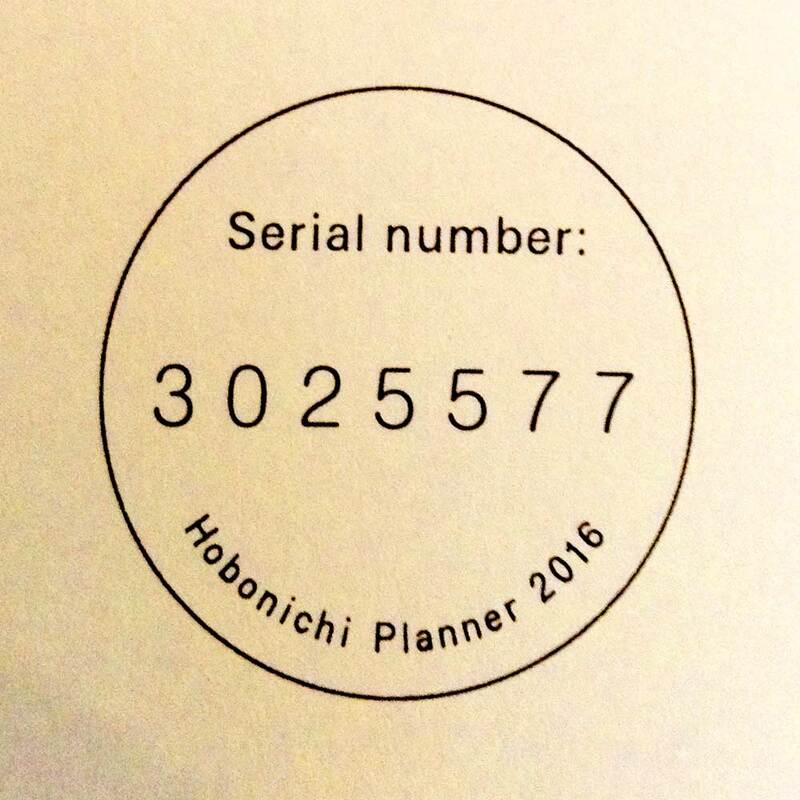 Hobonichi Two days a page layout- the closing days of 2015. When January 1 hits, you finally get the one page per day layout. Many people use this section to journal or doodle or as a scrap-book. I haven’t quite decided, but I’ll probably continue listing the events and triggers of the day. And don’t forget the notes page that comes before every month. You can list monthly goals or events here. There are a few details that make this layout really nice for me. One are the monthly calendars on every bottom corner. And on the header, you’ll find the phases of the moon (handy for astrologer or stargazer types!). Oh, and also notice the tabs on the left which indicate the number of the month, so you can flip to any month quickly. It’s these little details that make me absolutely love this planner. Header of the daily layout pages. Each daily page contains a quote from a Japanese celebrity or artist. This is one of the things I don’t like about the planner- I would have prepared a blank space for more notes/ reminders/ doodles. But I guess the quotes could become conversation starters. Quote at the bottom of the daily pages. Finally, you get a few pages in dot grid for notes. Great area to write those so-hard-to-remember passwords (but use code!). Notes pages. Cute peach dot grid! Finally there’s a small section for important info such as international sizes, measurement conversions, telephone dialing codes, even national holidays around the world. There are a couple of pages including Japanese dining tips and major islands, although I don’t really care for those last two. How to eat Japanese food? Finally, on the last page is a form for personal and contact information (in case you lose your precious Hobo). And check out that serial number. Can you believe each Hobo is numbered individually? That’s pretty cool. There’s just one thing I have to say before I finish: the Hobo’s paper is super thin ( it’s Tomoe River). at 50gsm, it’s about as thick as regular onions-kin. Now, many people say that Tomoe River doesn’t bleed on a lot of pens, including fountain pens, but I’ve found that certain inks do tend to bleed through or have extreme show-through, making the opposite sides almost unusable. If you like to use alcohol markers, Sharpies, or very thick wet pens, don’t use a Hobo! Otherwise, the paper is strong (for its weight, anyway) and can hold light washes, brush pens, and most fountain pens. Hobonichi’s Tomoe River paper with showthrough and some bleedthrough using medium to broad fountain pens. It’s also probably better to use small handwriting. I think the grids are 4mm. They’re printed in very light gray, however, so they shouldn’t interfere if you want to write beyond the lines. There you have it! I’ll revisit my Hobonichi throughout the year to update you guys on how the pages are coming along. Thanks for stopping by!